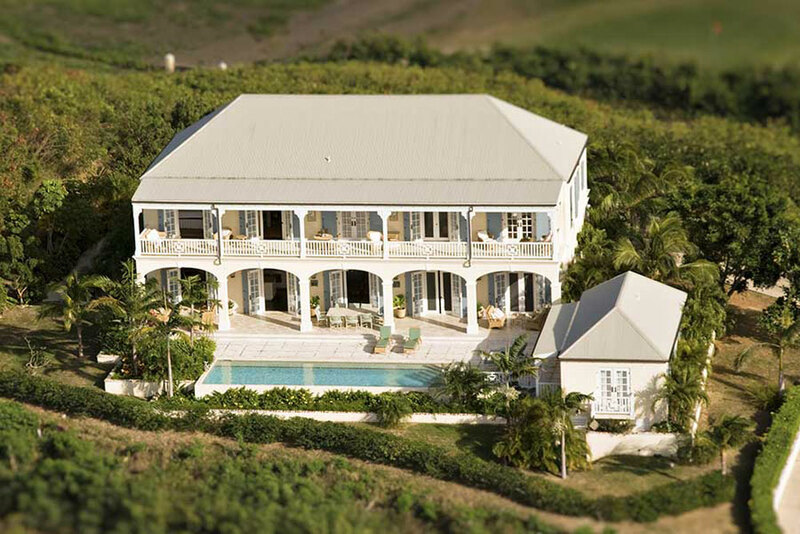 Located in Shoys Estate, St. Croix, Caribbean Mango Hill Greathouse is a private luxury holiday villa designed and built to replicate a Danish Colonial greathouse of 150 years ago, but complete with all the modern conveniences of today. 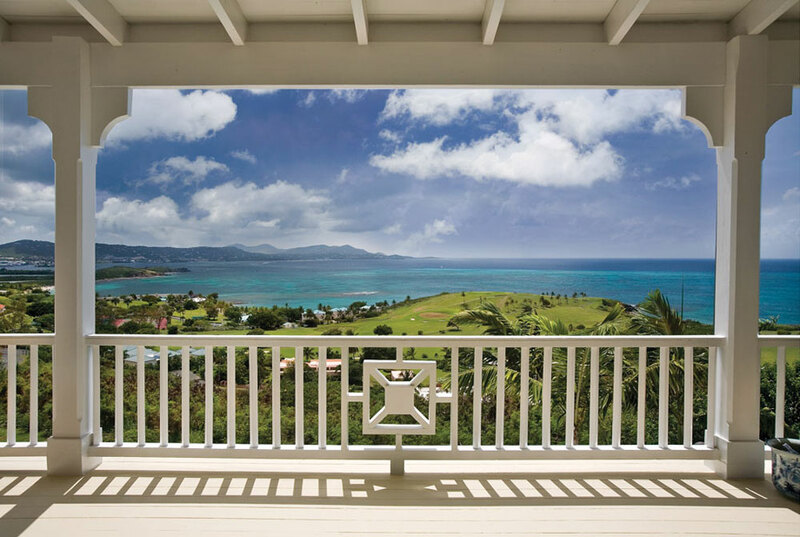 Perched atop a private hill in the island’s most desirable seaside neighborhood, Mango Hill Greathouse with 4 bedrooms and 5 bathrooms is perfect to accommodate 8 persons. 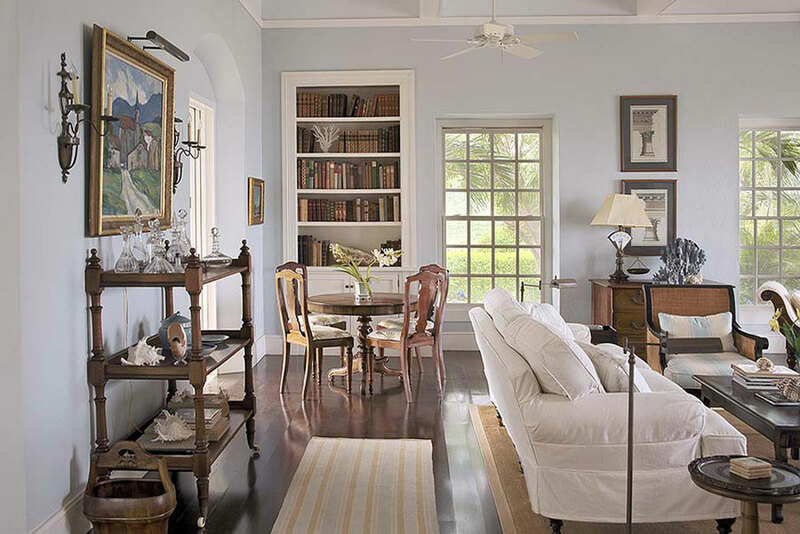 Once step inside 4,300 sq ft villa, the arched doorway welcomes you into the living room executed in a pale blue and decorated with spectacular Cruzian and New England antiques. 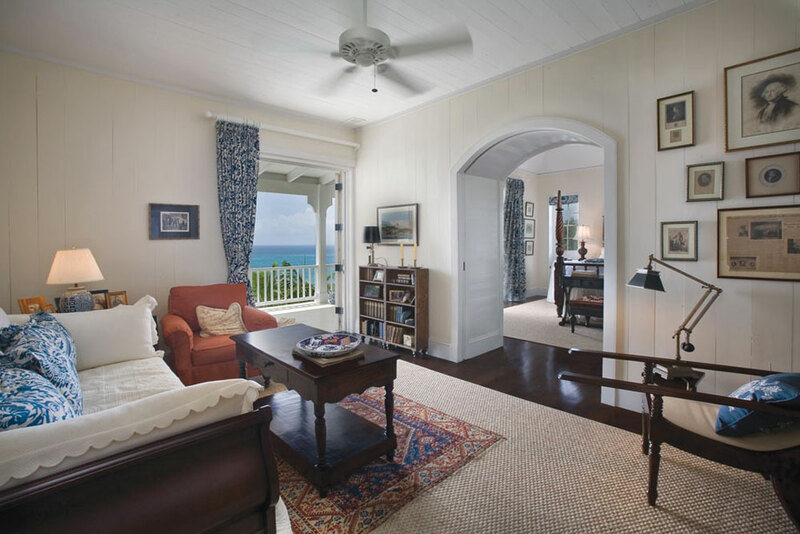 Leather bound books give the library a regal touch and the French doors highlight the ocean views. 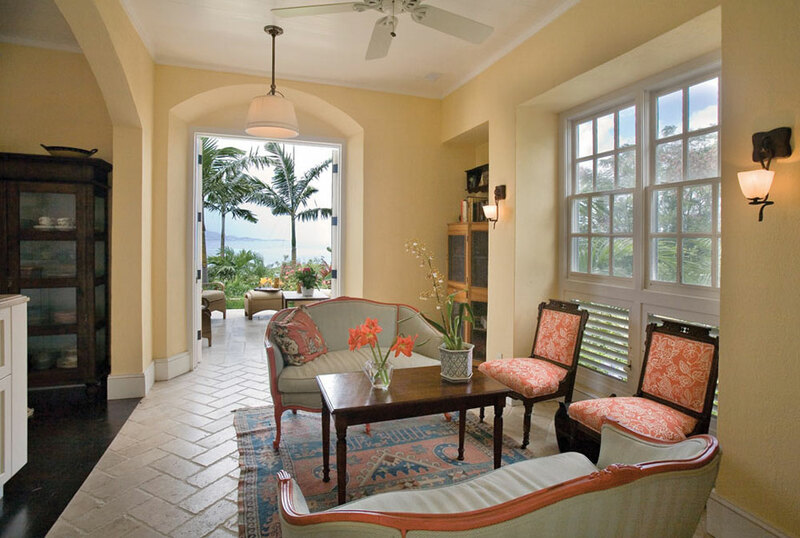 The floors in Mango Hill are both traditional stone pavers and stunning Peruvian cherry overlaid by sisal area rugs. 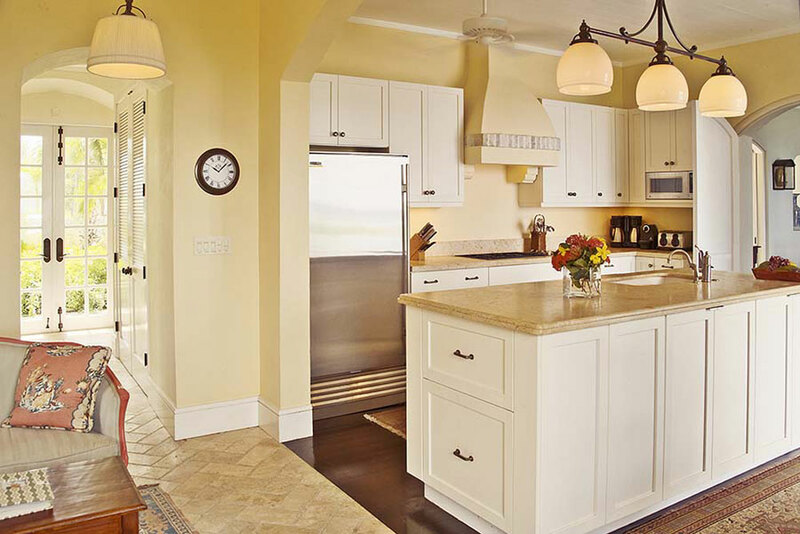 On the first level, there’s also formal dining room with seating for eight, and well-appointed gourmet kitchen with state-of-the-art stainless steel European appliances. At one end of this sleek, functional room is a charming breakfast/sitting area with French doors opening to the gardens and a covered patio just outside, perfect for coffee or cocktails. 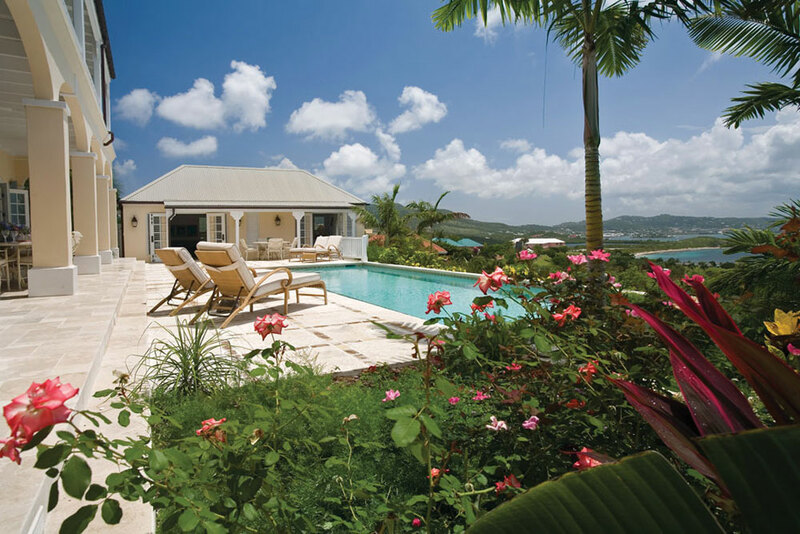 Villa’s main level is bordered on its entire seaward side with a deep colonnaded verandah, set with a second dining area for alfresco meals and cushioned wicker seating. Just steps away is the forty foot swimming pool, surrounded by gardens and sun deck. Adjoining the pool terrace is Kumquat, a whimsically-decorated tropical guesthouse with a bedroom and its own sitting room. 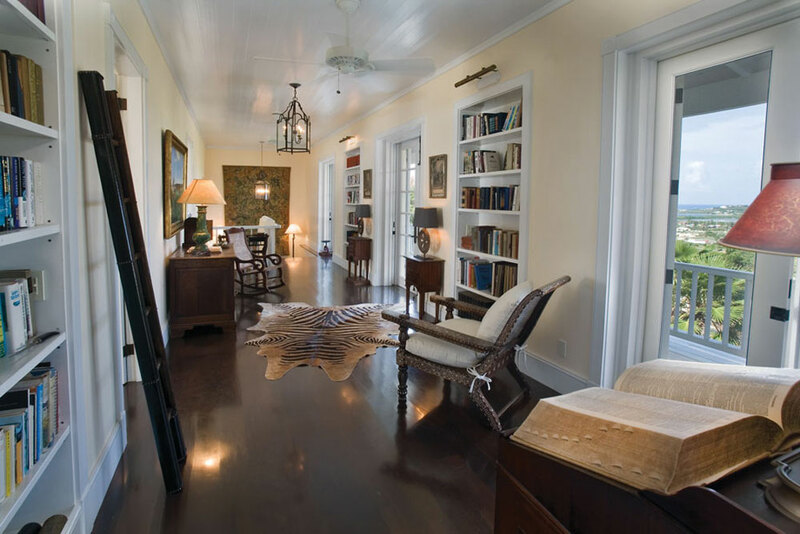 The carved mahagony staircase in the main house leading to the upper level where you’ll find three serene bedroom/bath suites and a 30-foot library furnished with so much history, including a 17th-century wooden chest. The 2,500 square feet of outdoor living area, able to entertain up to twenty guests for dinner offers tables and chairs for relaxing in the late afternoon sun or reading the morning papers. 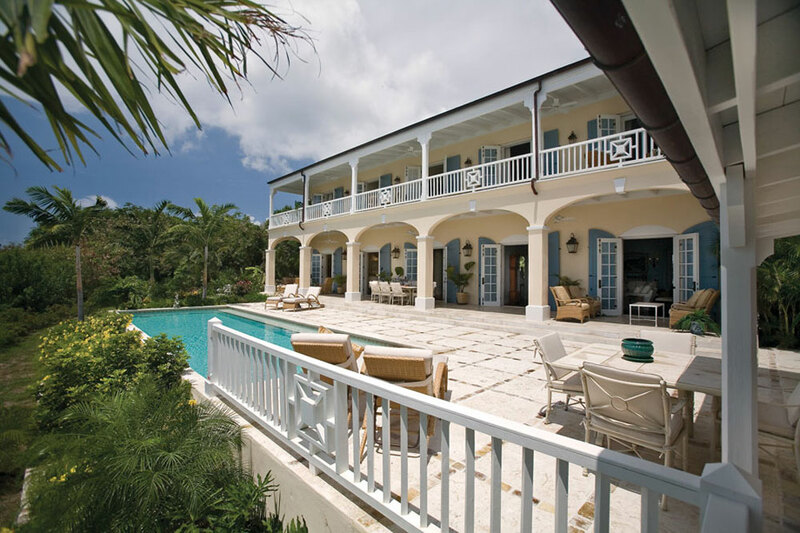 Although the property was built in antique colonial fashion, it has no shortage of modern amenities. Scattered throughout the villa, there are three satellite TVs, WiFi, two DVD players, even a VCR player (for those who refuse to participate in all of this digital nonsense), and a music, video and book library. 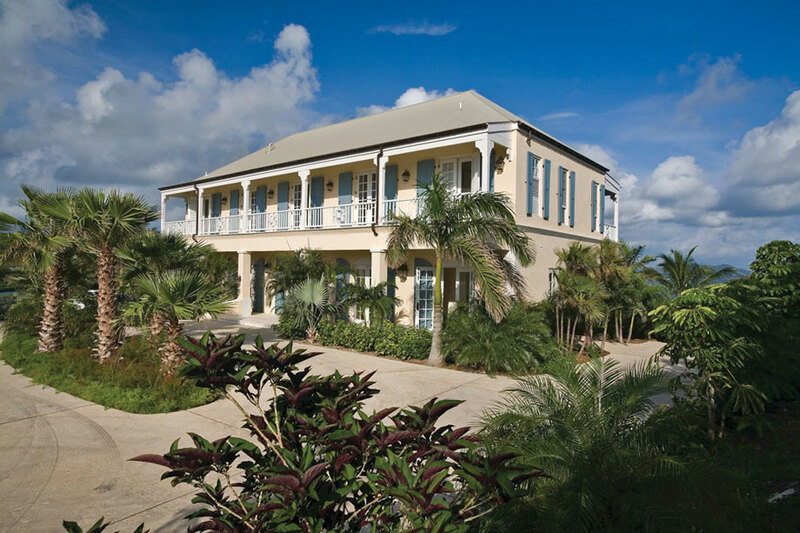 The villa is located right next to a full-service resort, so that a spa or golf outing is readily available. 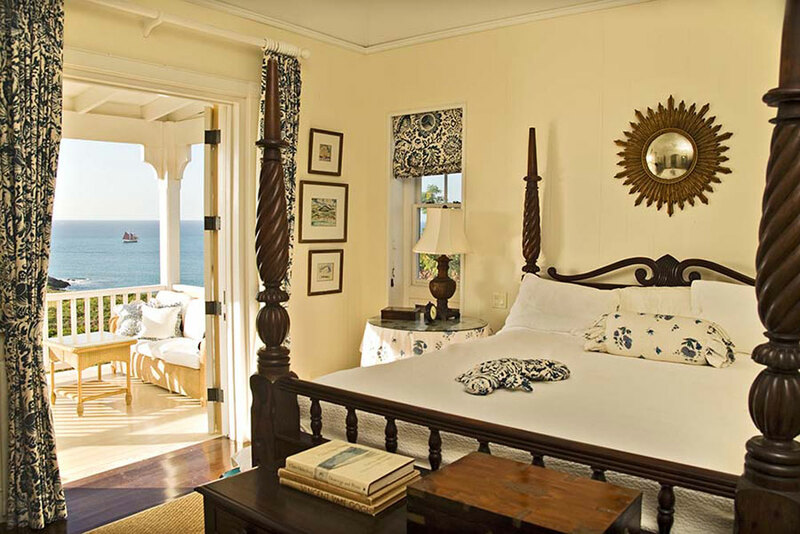 Depending on the number of people and the season, prices for the minimum five day stay range from $5,500 to $8,500.